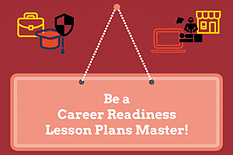 Would you consider yourself a master of career readiness lesson plans? What would it take to make it so? And why do you need to master career readiness curriculum? Many states are beginning to require it for all students. 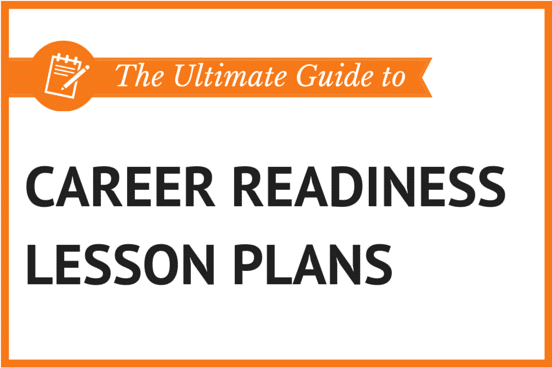 Read this Ultimate Guide to help you be a career readiness master! Why Do You Need College and Career Readiness Lesson Plans? You need college and career readiness lesson plans for a number of reasons. For many teachers, the most pressing reason you need them is that your school requires all students to complete career readiness curriculum to be eligible for graduation. Ohio teachers must now cover Strand 1 Business Operations/21st Century Skills standards with all students. In this article, find out how Ohio is leading the way with career readiness lesson plans. Another valid reason to include career readiness lesson plans in your courses is because employers are desperate for your students to have these skills! In this article, you’ll find that soft skills are important because companies demand it, customer service is important in almost every professional situation, and soft skills are evergreen skills…they never go out of style or importance. And mastering those skills would certainly be “associated with managing and living a better quality of life” and helping “us to accomplish our ambitions and live to our full potential” as life skills are defined by SkillsYouNeed and Wikipedia. What Is Included in Career Readiness Curriculum? 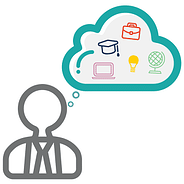 If you are trying to evaluate career readiness curriculum or career readiness lesson plans, review this evaluation guide for some good ideas about what you should expect to find. Now that we’ve established the why and the what of career readiness lesson plans, you might think we must now talk about the how. As in, how do I create engaging career readiness activities? What if I told you we can skip right over the how, and rather simply talk about where you can find fantastic career readiness activities, lesson plans, and engaging curriculum that already exists? Why reinvent the wheel? This post talks about the fact that many teachers and school administrators are desperately looking for career readiness activities, lesson plans, and curriculum. Directors want career readiness activities and curriculum that is easy to implement for all elective and CTE teachers charged with teaching career readiness content. The article also touches on how creating lesson plans is hard work. One teacher even said, “Worst part of teaching isn’t the teaching–it’s the plans.” Yep, that about sums it up! For teachers that want to focus on their craft rather than spending hours upon hours creating lesson plans, there are some solutions as long as teachers and administrators are willing to think outside of the textbook box. There also needs to be a willingness to embrace value perception. Budgets are tight. Everyone is spread thin. But burned out teachers don’t inspire students. And teacher turnover isn’t free! With that in mind, there are some great solutions out there, including Career Readiness Curriculum, which is a value far beyond a textbook. You will get a library of content that can be assembled into a customized course, based on your state standards and local needs. We also provide sample guides for 45, 60 and 90 hours of content. And what is the best way to figure out if AES digital curriculum is the right fit for you, your school, and your students? Take advantage of a free trial. It’s the best way to implement technology in the classroom without making a huge commitment. Free trials exist for the very purpose of having you try them out! That means use it, people. Don’t make the mistake of signing up for a free trial and just poking around in what is there. Take the plunge and try a few things out with your students. There’s no better way to determine whether or not the tool is going to work well in your classroom. Trying it out also gives you the opportunity to ask questions about your experience to see if there is something available in the tool that will do x, y, or z, or how you can customize or tweak what is available to best fit into what you are already doing. If you are looking to introduce, develop, improve, or master career readiness lesson plans for your classroom, discover your best methods, tools and resources here. If you want to know more about easy ways to implement technology into your classroom, look here. 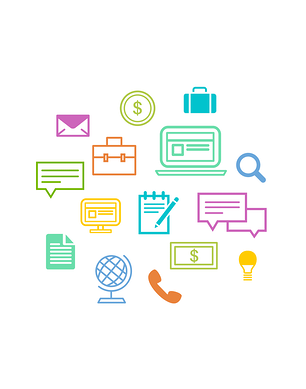 Business teachers, you can seamlessly blend career readiness lesson plans with our Introduction to Business curriculum and lesson plans. Still unsure about how to cover soft skills? The Quick Guide to Teaching Workplace Readiness Skills could be just what you need! Do you want to prep your students for success? We offer a full digital curriculum designed for that exact purpose! Click the button below to get your free demo to see if Career Readiness is right for you!